i would say that the five should be a history of the denomination, a biography of one of the greats, a theology book, a debate book, and something miscellaneous - either theology for laymen or a memoir. The best history is likely Ann Bressler's the Universalist Movement in America. The American Church History Series : A history of the Unitarians and the Universalists, by J.H. Allen and R. Eddy. To be honest, I read eddy's two volume set, but not this one. I have F. A., Bisbee's "From Good Luck to Gloucester" in my to read pile - I see that it's available for free on the Nook, try that one. Theology, Ballou's "Thesis on Atonement" is hard going, so maybe one of J. W. Hanson's books. like "Bible Threatings Explained" or "Biblical Proofs of Universal Salvation". The Nook also has various volumes of the "Manual of Faith and Duty" (but without that subtitle!) - not sure which of those I would recommend. Or even a sermon book. Biography, either Ballou or Murray, I believe you have one on Hosea Ballou, so that made that easy. Debate; to understand Universalism of the 19th century, you have to understand debates. Ii'd go with Manford and Sweeney, because Manford and Sweeney both kept it im print for decades (both thought they won). Reasonable start, I'm sure that Scott and others can make other suggestions. You note nothing for the past 110 years - the good books haven't been written yet , But check (not on the Nook) books by Clarence Skinner, and the history of the Charles Street Meeting House (to see how modern UU-ism was created). Experiences in Making Uuiversalists "MRS. MYSTIC" Rev. Q. H. Shlnn, D. D.
Rev. Q. H. Shlnn, D. D.
It was in 1895, if my memory is correct, that I was conducting a series of meetings in Columbia, South Carolina. The hall was barren, unattractive, Dr. D. B. Clayton's family had put in some chairs, about the only furniture. One evening there sat before me a very responsive hearer. 1 could tell that while she listened eagerly, her receptive mind would occasionally shrink from taking in the whole Universalist message. Fear and misgiving seemed to mingle with impulses newly stirred and all aglow with hope. I had never seen this face before but soon was made intensely conscious that a hungry soul was yearning for something I had to give, and well 1 knew her cultured mind was weighing every word I spoke. Either that night or the next she brought questions for me to answer. Desiring more time to answer them I secured her name and city address and called next day at her home. During the conversation it seemed at times difficult te make the essential points of our interpretation sufficiently clear for her to grasp. But I had no fear but she would see because willing to put prejudice aside and think. When people want to see they'll see. Not long after this, the Sunday issue of a Columbia Daily began publishing articles signed by "Mrs. Mystic." So optismistic were they, so full of comfort and sunny hope, that many delighted readers began to ask, "Who is this Mrs. Mystic?" For many weeks these appeared, growing mere clearly Universalist in tone and spirit. I think it became noised about at length that "Mrs. Mystic" was teaching Universalism. At all events patrons of the paper sent in their protests and the Editor soon reached the conclusion that it would be best to discontinue the Sunday Department. About this time I had sent some of "Mrs. Mystic's" articles to the Universalist herald, Edited by Rev. J. M. Bowers in Canon, Ga. They were gladly published and in a short time the writer was requested to engage as regular correspondent. She did so and under her own name — Athalia L. J. Irwin. Now my readers knew that "Mrs. 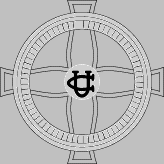 Mystic" is not a myth, but the missionary of the Young People's Christian Union in Little Rock, Arkansas. For a long time after she fully espoused eur faith, it seemed impossible for her to sever her connection with the Baptist Church of which for so many years her father had been a faithful minister. Her brothers, sisters and friends were there, and the associations were sweet and sacred. No, she must stay. But she found out her mistake in time. Some never do. She could be a Universalist but she could not enjoy Universalism there. The Universalist Church is the only one in which a soul can knew the priceless value and sweetness of Universalism. To enjoy the faith one must be its witness. Its richness is never experienced by a silent believer. Mrs. Irwin remained something over two years a faithful worker in her Baptist Church, a teacher in the Sunday School and an instructor of teachers, also a leading worker in the Ladies' Society. Meanwhile she was glad to contribute her labor to encourage the little band of Universalists and attend meetings when held. At last she clearly saw that the Baptist church could be no longer her religious home, and with her little daughter united with the Universalist Sunday Scheol. In 1898, I believe it was—in that same humble hall—she stood beside her husband, Mr. George W. Irwin, to receive the fellowship of the Universalist Church. Dr. D. B. Clayton, I think was present assisting me in this service. Two years later their little daughter, Mabel, joined at twelve years of age. On the thirtieth day of November, 1902, Mrs. Irwin was ordained as a Universalist minister and installed the Pastor of the Universaltst Church in Pensacola, Florida. The noble work she did and how greatly she was loved by all is well known to our people in the North. Less than two years age she was called by the Executive Board of the National Y. P. C. U. to take the Mission in Little Rock. Under her leadership a beautiful Chapel has been built, and a fine corner lot secured for a future church. Back of this fronting on 13th Street, stands the attractive "Cottage Chapel." Last week the Arkansas Conference met in it, and on Sunday, April 22, 1906, the new house of worship was dedicated, five ministers taking part, Revs. Rachel Billings, Athalia Irwin, B. F. Griffin, W. M. Edrington and the writer. A fine intelligent audience listened to these services, and at night the attendance was increased. Having been the founder of the church, it fell on me to preach the dedicatory sermon. Our property in the capital City of Arkansas is worth $4,000. Indebtedness $550- A great achievement for the friend whom I trust you will all go on encouraging until she gains still greater.